It's 4:00 a.m., your 3 year old son just woke up sobbing. ​He peed his bed ... yet again. Is there even a point to go back to bed? In two hours, the alarm will go off and then it begins. Shower, make lunches, get kids ready for school and daycare. Plan your outfit for work. Damn. That top you've chosen needs to be ironed. Iron your top. Yes, finally everyone is ready to go; off like the races - school, daycare, work; return home, make dinner, help daughter with homework, bathe children and off to bed. Repeat. What if I told you there was a way to break up the monotony of this routine? Answer? - Gratitude and meditation. Just setting aside even 10 minutes a day each morning and night will give you the serenity you so well desire. #1 -Thank your body for a new day by stretching out your limbs. #2 - Then, think of one thing you are grateful for. Keep it simple. You could be thankful for the sun, the birds chirping outside your window, your health, family, friends, job, etc. Choose whatever resonates with you and carry that with you thought your day. That took 5 minutes of your morning maximum. Then to close out the day, give yourself a moment to appreciate all that has happened in the day and relax your body. #1 - Before bed, sit upright in your bed for 5 minutes and meditate to release all the stress of the day and prepare yourself mentally and physically for a peaceful sleep. If you are new to meditation and don't know where to begin, find a guided meditation app! There are plenty free ones out there. My personal favourite is "Calm". There are various types of meditation for sleep, happiness, peace; the list on and on. #2 - When you are done, lights off, and you're off to sleep. 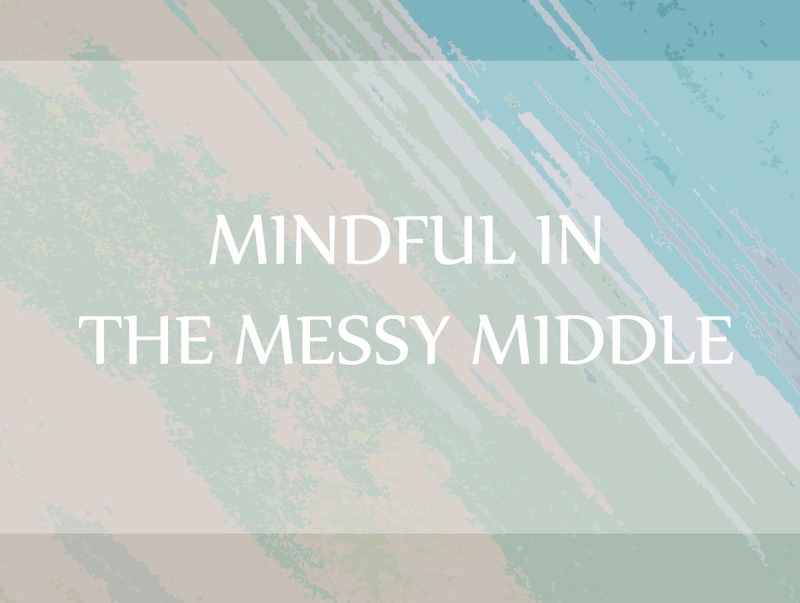 That 10 minutes a day - practiced daily - will provide you with the strength and guidance to get through even the toughest mom days and help you become Mindful in the Messy Middle!